Darius is a fractional Persian; his mum moved to the States from Iran, but his father isn’t. He also has depression, which he inherited from his father. They visit the same doctor. When Darius’s family learns that his grandfather is doing poorly, they plan a trip to Iran, where most of the book takes place. There, Darius (or Darioush, his full name) struggles with the way people talk about mental health – they don’t. When the customs agent sees his medicines, he asks if he’s sick. When Darius explains he has depression, the agent states that he probably just eats too many sweets. This continues with his family, and Darius deals with that along with feeling like and outsider with his own family. I loved this book because it showed such a true version of depression, and how outside you can feel even when surrounded by those that love you. Mental health is something that deserves to be discussed, and without stigma. 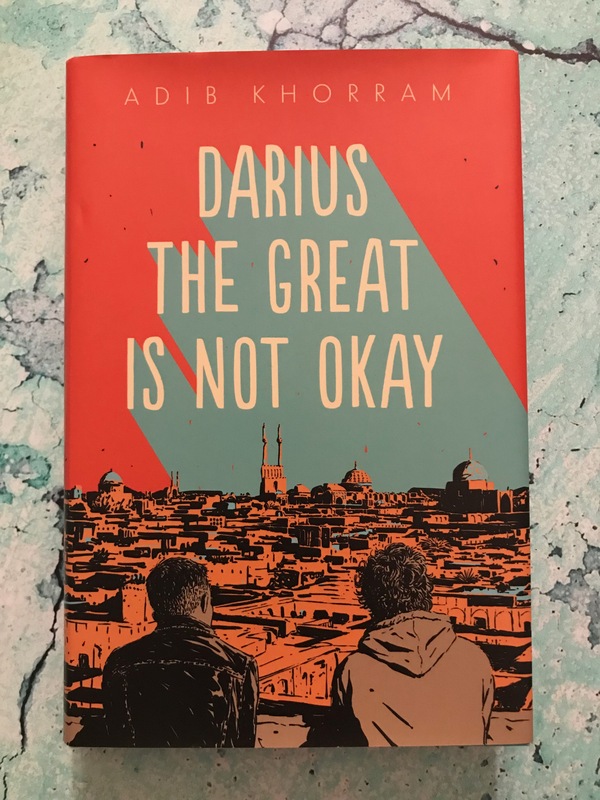 I adored reading Darius the Great is Not Okay, and I can not recommend it enough.